IRVINE, Ca (May 10, 2014)- The Blues are excited to announce the addition of Dersu Abolfathi, Josh Ford, and Kwame Watson-Siriboe to the Orange County roster. Midfielder Dersu Abolfathi joins the Blues after playing with the Orange County Blue Star of the USL PDL. Abolfathi played four years at Stanford University, where he was named to the 2011 Capital One Academic All-District 8 Team and earned an Honorable Mention on the 2012 All-Pac 12 Team. The Irvine native played on US Men U-14 and U-18 National Teams. 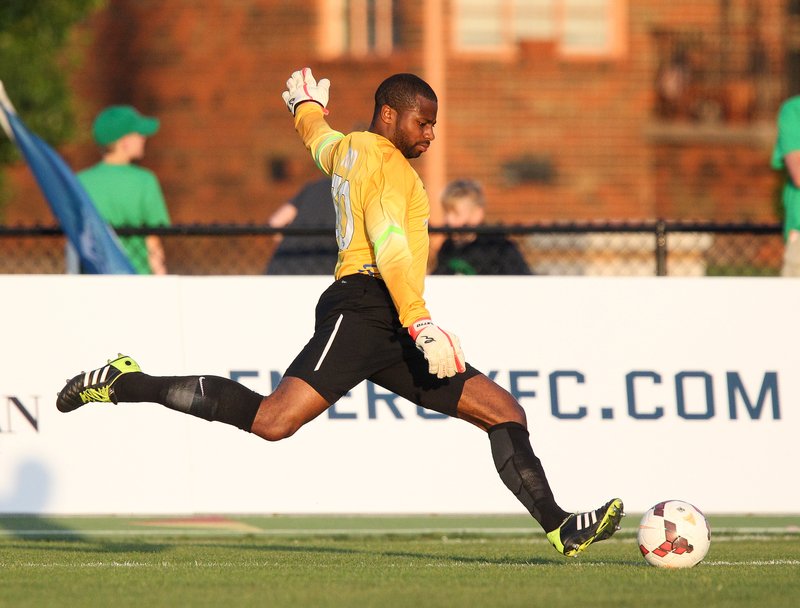 Goalkeeper Josh Ford joins the Blues on loan from the Seattle Sounders FC of Major League Soccer (MLS). The New York native holds a University of Connecticut (2006-2010) career record in shutouts. Ford started in MLS reserves in 2011 and since then has suffered two major injuries. Ford is looking forward to advancing his career along with the rest of the Blues. The Blues also acquired Kwame Watson-Siriboe on loan from Real Salt Lake of MLS. The California native joined MLS in 2010 with the Chicago Fire. Watson is not new to USL PRO as he was on loan during the 2013 season with Phoenix FC, now the Arizona United SC, where he suffered a torn ACL. Watson-Siriboe hopes to return to full fitness and gain opportunities to showcase his defensive prowess in 2014. Watch Abolfathi, Ford, and Watson-Siriboe when the Blues return home to California to face the Fresno Fuego of the PDL on May 14 in the second round of the Lamar Hunt US Open Cup. After that, it’s back to USL PRO play as the Blues head to the Pacific Northwest to face off against the Seattle Sounders Reserves on May 18 as part of the Major League Soccer-USL PRO partnership. The Blues’ next home match will be Saturday, May 31 at 7 p.m. PST against Arizona United SC at Anteater Stadium. Join the rest of Orange County at the game by calling (714) 738-8011 or sending an email to seats@bluessoccerclub.com. Visit www.ocbluesfc.com for more information on the OC Blues or hashtag #myocblues on social media.